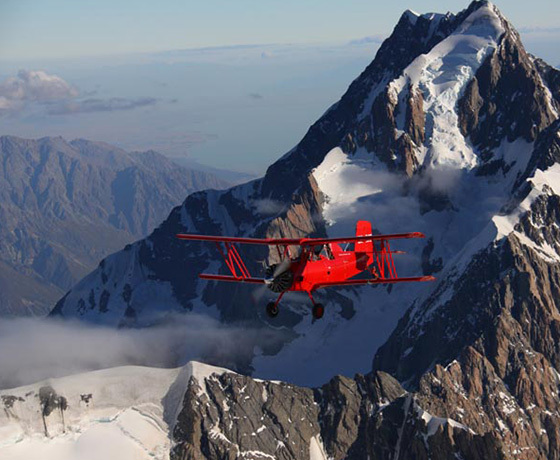 Red Cat Biplane Flights offers a unique aviation experience where two passengers can dress up in leather jackets, flying helmets and goggles to experience open-cockpit flying over some of New Zealand’s most spectacular scenery – including the glaciated turquoise waters of the Mackenzie Country lakes, or soaring over Aoraki Mt Cook. 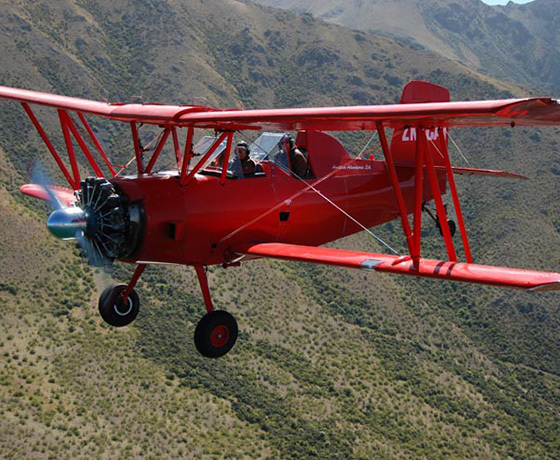 Red Cat Biplane Flights’ base is at Pukaki Airport on the main tourist route between Christchurch and Queenstown. It is perfectly located to explore some of New Zealand’s most outstanding landscapes – many of which were used in the Lord of The Rings and The Hobbit movies. 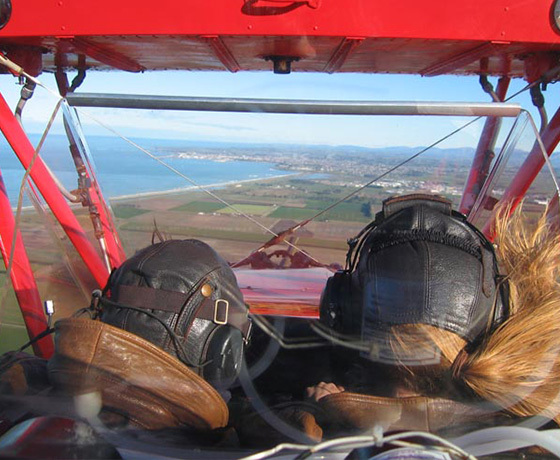 The flying season operates from the beginning of September until the end of April. During the winter, please call ahead as flights are on a more irregular basis. How to find Red Cat Biplane Flights? 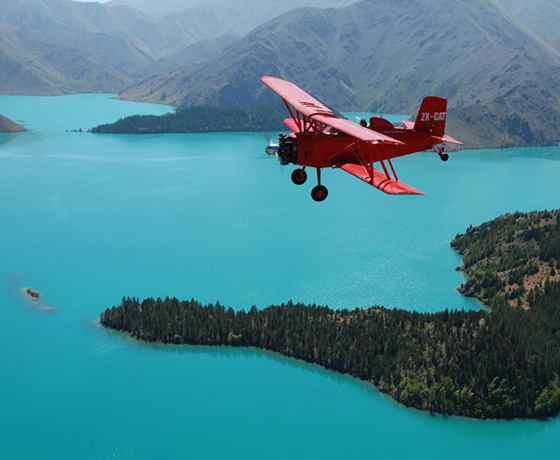 The Pukaki Airport is located north of Twizel on State Highway 8. Turn left after passing through the Pukaki Airport entrance and drive to the northern end of the airport.